I created a mask with the MFT Horizontal Collage Cover Plate die and trimmed it to a square. I blended Catherine Pooler ink into each square, following a rainbow transition. I stamped a leafy branch stamp from Bold Blossoms into each square before removing the mask. 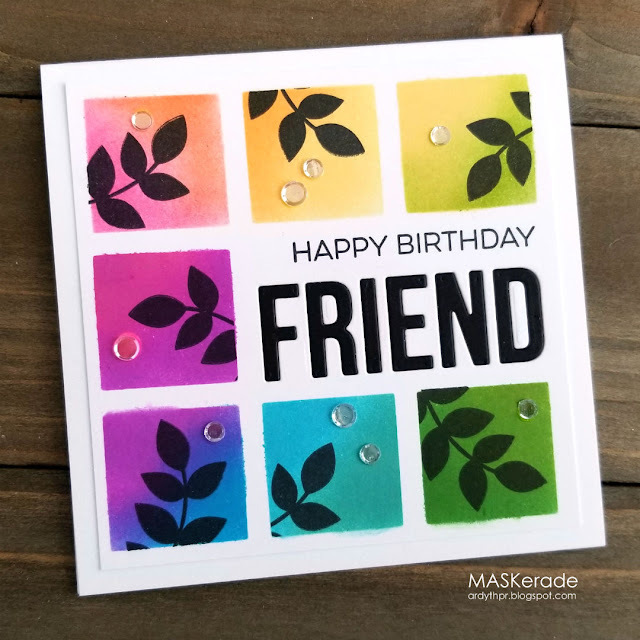 My sentiment was created by stamping 'Happy Birthday' from From Me to You and inlaying 'Friend' from Words for Friends.